NEW DELHI, March 17, 2010: There will be no rollback in the prices of petrol and diesel, as confirmed by Finance Minister Pranab Mukherjee in the Lok Sabha. Despite demands, walkouts and disruptions by the entire opposition including the NDA, the SP and the RJD, the FM maintained his stand, citing the rollback a “Financial Necessity”. Replying to the general discussion on Budget 2010-11, Mukherjee said, “I would love to respond to the demands (of the Opposition) but my financial condition does not permit me to do so. Please excuse me. Therefore, I am unable to do so”. Clarifying the scenario, He added, “We cannot live on borrowed resources, I would not like to have a scenario where I have to pledge my gold to borrow money”. This entails that the basic customs duty of 5 per cent on crude and 7.5 per cent on diesel and petrol will be restored. Also, the hike in the excise duty on petrol and diesel by Re. 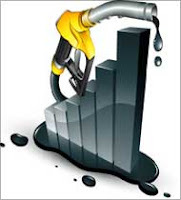 one per liter, which prompted oil companies to immediately increase the prices of petrol and diesel, will stay. The hike in the prices of petrol and diesel is expected to affect the prices of other products as well. Fueled by the rebound in the economy and high consumer demand, Inflation has hit Food as well as Non-Food products such as steel and metals. Responding to questions raised by the opposition concerning Inflation, Mukherjee maintained that the Issue had been taken into consideration while formulating the budget.